Ralph Kennedy made the cover of Saturday Evening Post in 1935. (Curtis Publishing photo). I have a new favorite golf hero, and his name isn’t Jack Nicklaus, Phil Mickelson, Jordan Spieth or even Tiger Woods. Did you ever hear of Ralph Kennedy? Not many have. Kennedy died in 1961 at the age of 79. His claim to golfing fame didn’t come in winning big tournaments. It came from just playing. I doubt any golfer had the same love of the game that Kennedy had. Kennedy took up golf in 1910, when he was 28 years old. Between his first tee shot at New York’s Van Cortlandt Park – the first public course in the United States – and his last recorded round in 1953 Kennedy played over 8,500 rounds on 3,165 different courses. New Jersey-based golf writer John Sabino uncovered all the scorecards that Kennedy had donated to the U.S. Golf Association prior to his death and – very much to his credit — took it upon himself to tell Kennedy’s story. Sabino’s report surfaced in his recently released book, “Golf’s Iron Horse,’’ which was published by New York’s Skyhorse Publishing, Inc. Sabino likened Kennedy’s feat with the 2,130 consecutive baseball games that Lou Gehrig played for the New York Yankees during his 17 big league seasons. Gehrig and Kennedy lived about six blocks apart during Gehrig’s baseball prime. 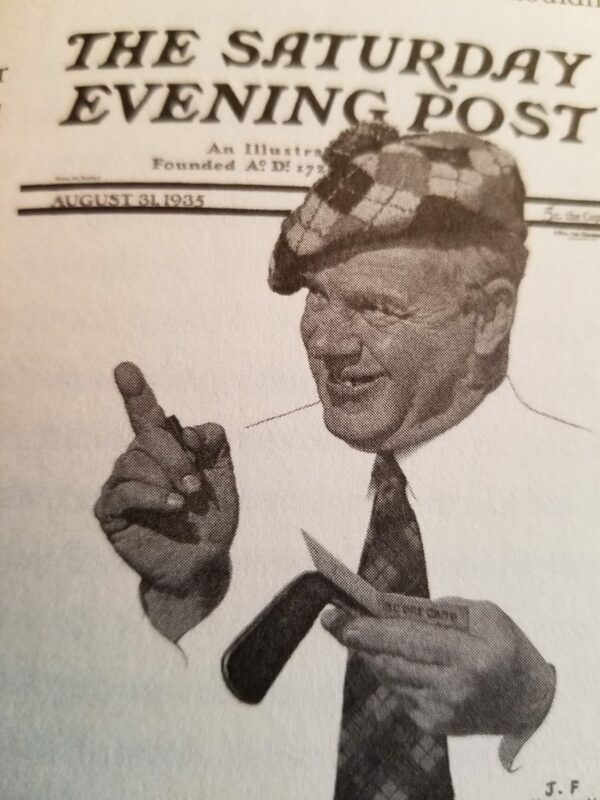 According to Sabino Kennedy’s total rounds of about 8,500 are the equivalent of a golfer teeing it up every day for 23 straight years. Kennedy averaged 75 new courses a year from his first round on July 9, 1911, until his last one on Sept. 27, 1953. They were all walking rounds, too, as power carts hadn’t arrived during Kennedy’s days on the links. That’s not what most impresses me, however. Piling up rounds isn’t all that difficult. Lots of golfers play the same course over and over on an almost daily basis and Joe Kirkwood, a competitor in the early days of the pro golf tour, may have even played more total rounds than Kennedy. Kirkwood just didn’t document his rounds. He was more interested in tournament play and his trick shot exhibitions. Instead, I’m most in awe of Kennedy’s penchant for travel to get to all his courses. I’ve done pretty well on that end, thanks to being blessed with jobs writing on golf for nearly 50 years. 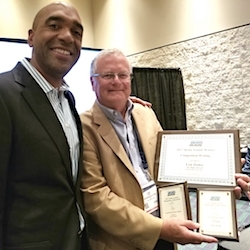 Never more than just an avid recreational player, I’ve played in 26 states and many have come in the last 10 years when my focus has been on Travel Destinations rather than tournament coverage. My estimated courses played since my first one at age 11 in 1955 is about 600. 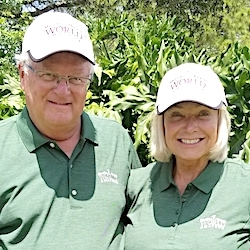 They include a vast majority of the 400-plus courses listed in the Chicago District Golf Association membership area and 21 courses listed on Golf Digest’s Top 100. Kennedy, by comparison, spread his rounds around the 48 of the states in the United States when he was playing. He also played courses in nine Canadian provinces and about another dozen countries. His course count total was determined off scorecards signed by him as well as a representative of each club played. On one day he played courses in four different states. On another he played four courses in the same day. Many times he played a round with just a 3- or 4-iron to reduce the physical demands required to carry a bag of clubs. My greatest golf stunts pale by comparison — two 45-hole days in the early 1980s arranged to promote the Chicago Park District’s five nine-hole courses. I’m no Ralph Kennedy, that’s for sure. In one area, though, I’m sure I beat out Kennedy. A vast major of my rounds have been over 18 holes. Kennedy couldn’t say that. Many of the courses in his count were nine-holers and some were even less than that. 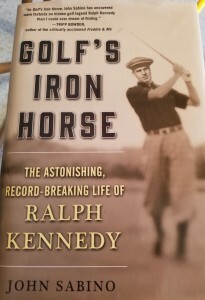 “Golf’s Iron Horse author John Sabino likens Ralph Kennedy to baseball great Lou Gehrig. (USGA photo). No course was too insignificant or far away for Kennedy. He played in all sorts of weather on urban, rural, desert, mountain, parkland, moorland, links and heather courses. 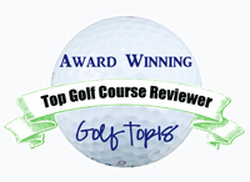 But, his courses also included cream of the crop venues like Augusta National, Cypress Point, Muirfield and Pine Valley. So, how did Kennedy do it? Well, he had a wife who liked to play, too. Mary Alice Kennedy played over 600 different courses and they had no children. That opened up more time for playing and traveling. Kennedy also had a job that encouraged his golf “hobby.’’ He was a traveling salesman for a major pencil company. He was apparently good at his job, too, as he was a founding member of New York’s Winged Foot – long one of America’s premier private clubs. Sabino takes an unusual approach to telling Kennedy’s story. He focuses more on the climate of the changing times than he does on golf shots. 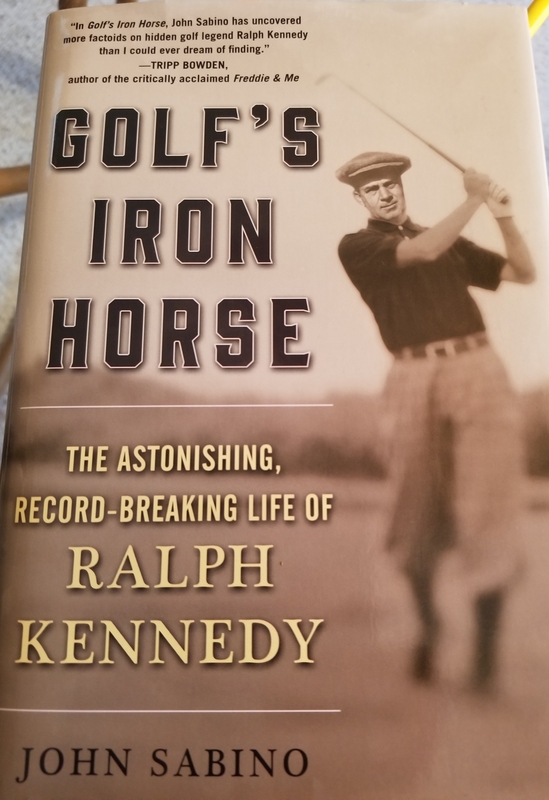 When Kennedy entered college at Amherst the reigning U.S. Open champion was Harry Vardon and when he died Arnold Palmer held the Masters crown. In between the country was going through two world wars and plenty of other changes. The game of golf changed a lot in that period, too. When Kennedy was born America had 38 states and no golf courses. America’s first 18-holer wasn’t built until Chicago Golf Club unveiled its prize layout in 1892. In the early days of American golf many of the early courses had half-par holes, a different sized ball was used, there were no rakes in the bunkers and the stymie was a key part of the game. Many of the courses that Kennedy played no longer exist including the last one, nine-hole Hamilton Inn Golf Club in New York. That round came the same year that golf was televised nationally for the first time at George S. May’s World Championship event at Tam O’Shanter in suburban Chicago.